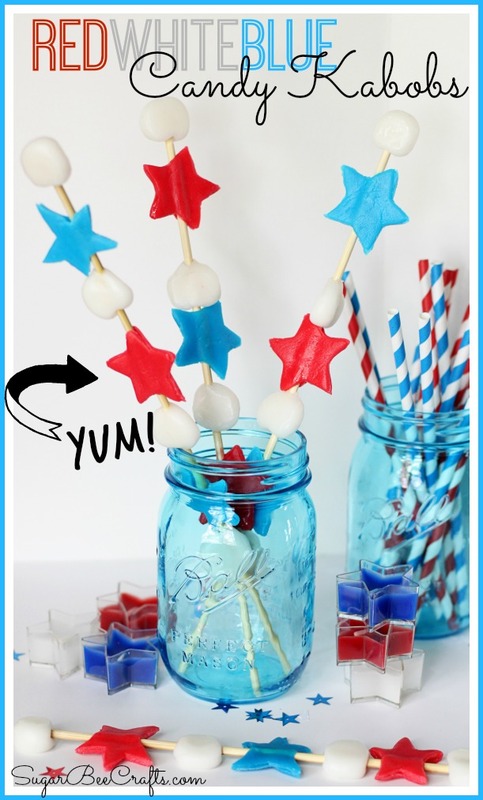 This is a sponsored post but the craft idea and opinions are my own. 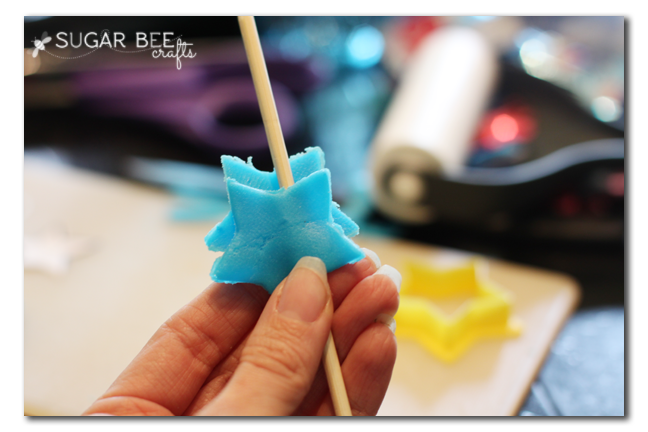 I’ve been crafting with candy and it’s been fun – – fun to try something new and different. And fun to eat! 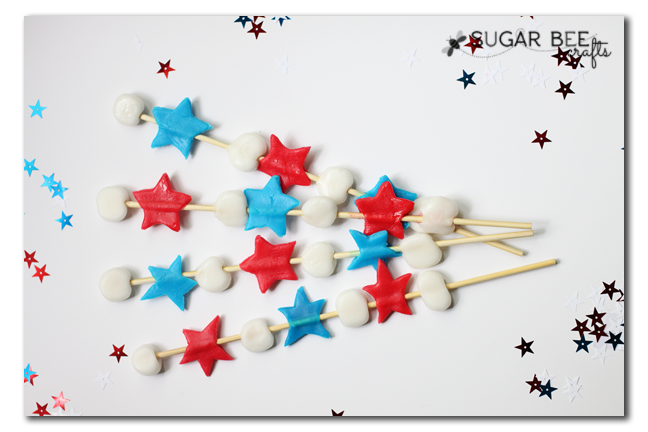 Can you guess what these sweet treat Candy Kabobs are made out of? Hint – my kids (and all kids?!) 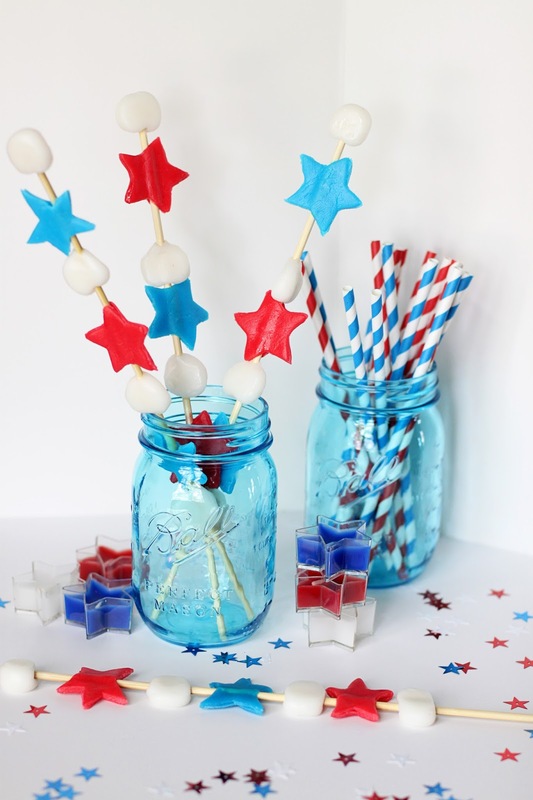 love them….and they’re pliable which makes for awesome crafting…and they come in Red White and Blue, perfect for patriotic kabobs as we embark on various summer gatherings…. 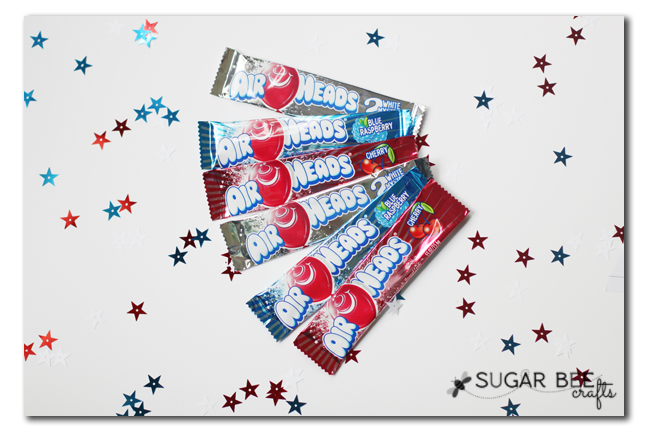 Yep, Airheads!! You got it! 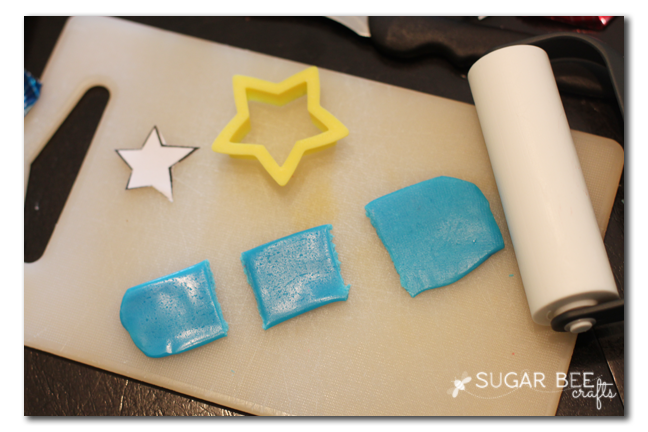 First you will need to roll your Airhead out just a little to make it wide enough for a star. At first I was using a knife to cut around a template, but later I found a cookie cutter. I was able to get 3 stars out of every regular-sized Airhead. 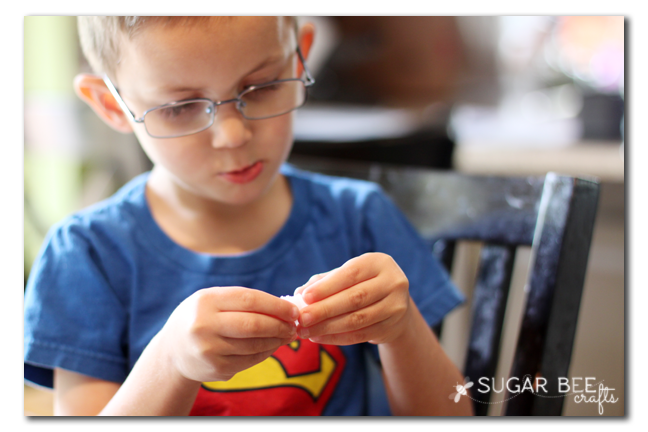 Warming the candy up in your hand will help make it more pliable. I tried the microwave, but it got too gooey to work with. 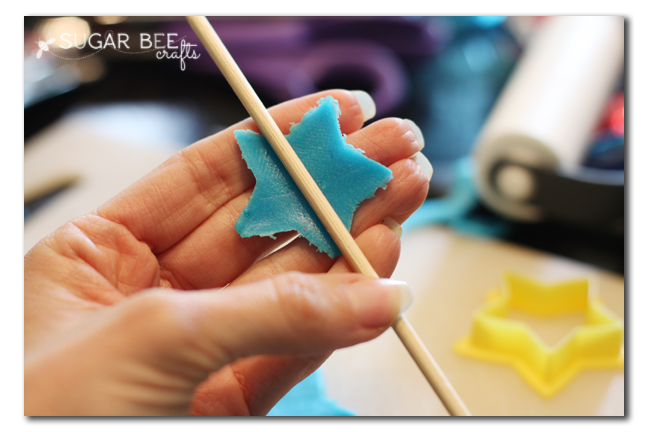 Then place the second star cutout on top of the stick, lining up the stars. 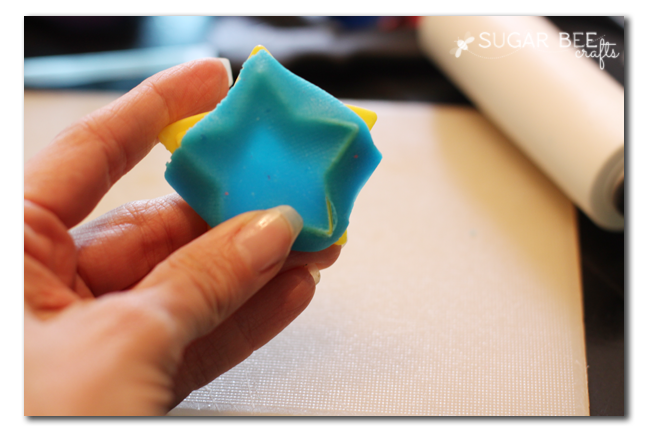 Press front and back to mold them into one star that surrounds the stick. 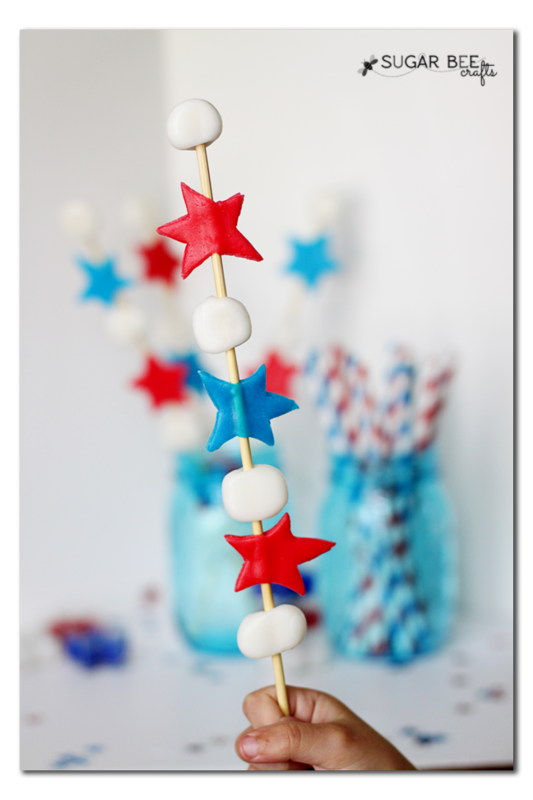 I would then slide the star off the stick and make several more before assembling the kabob. To assemble, I would press the balls a little flat and then poke the stick through them. Then I would slide on a star. 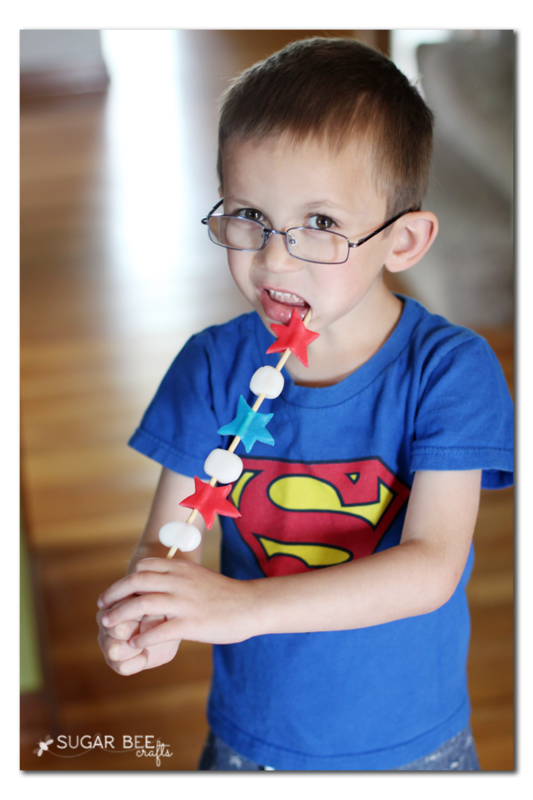 To help them stay in place and not slide down the stick, I found that getting the stick wet with water where I wanted to adhere the candy helped. Then I just pressed firmly and set the kabob flat to stiffen up. Mine weren’t super dried out, so they were still pliable. After they had been upright in the jar for about an hour, the candy was starting to droop a little. So if you are doing this for a party, I would leave them flat until it was time to display them. 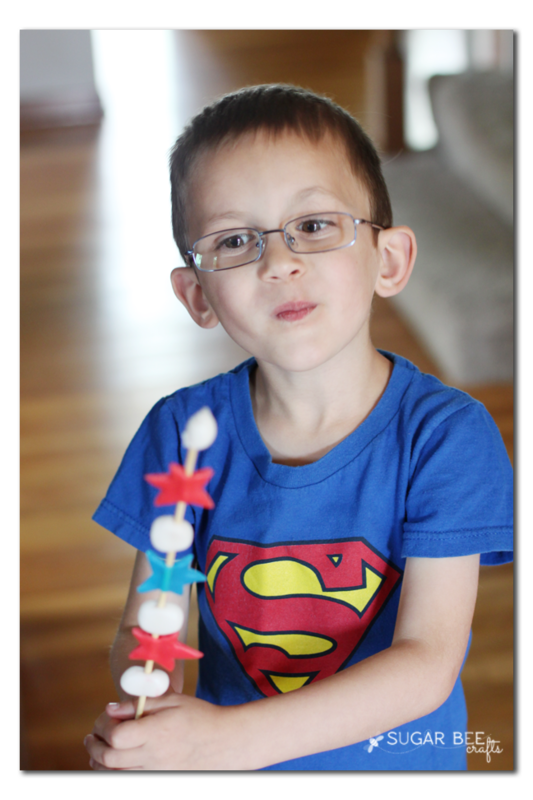 My kids went crazy over these Candy Kabobs – they were a HUGE hit!! 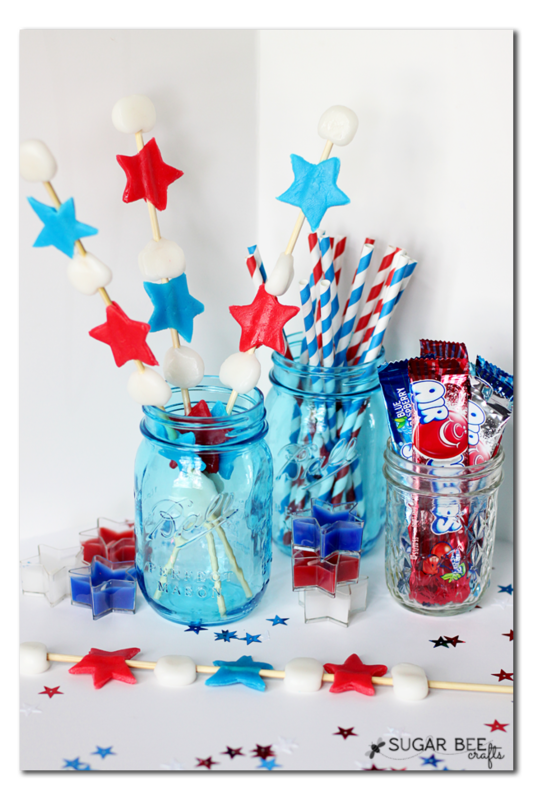 They will be the hit of any summer get-together. Enjoy!! 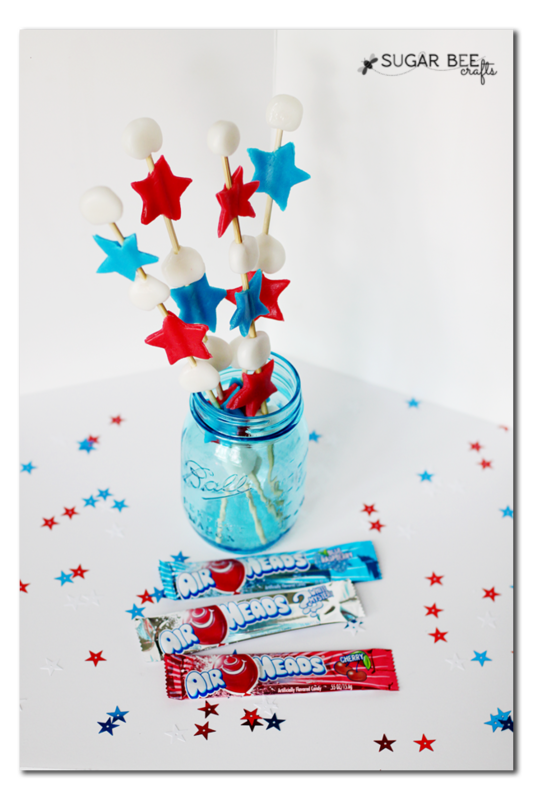 Be sure to follow Airheads Candy on facebook for other great ideas! 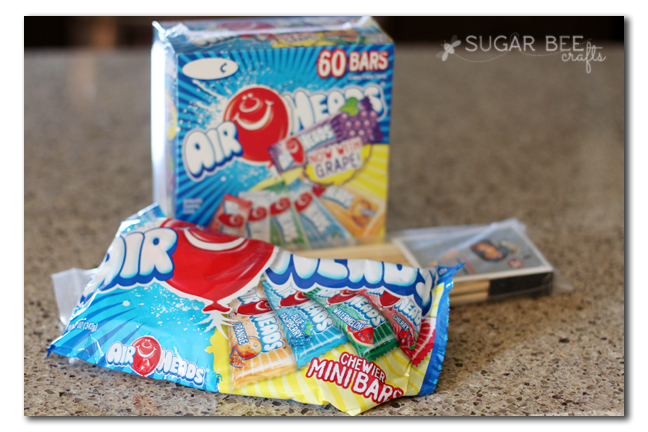 What a fun idea Mandy, love that you can just roll and cut out airheads like that!